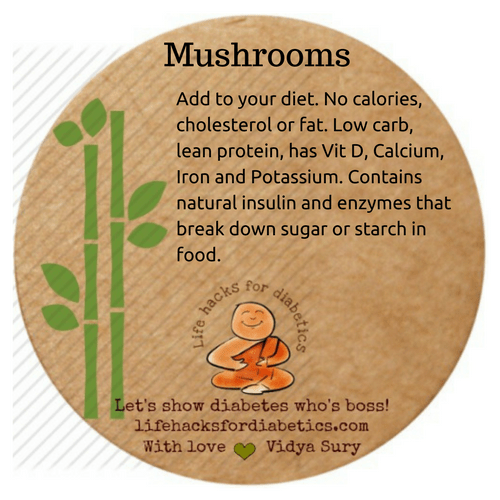 Add mushrooms to your diet. No calories, cholesterol or fat. Low carbohydrate, lean protein, has Vitamin D, Calcium, Iron, and Potassium. Contains natural insulin and enzymes that break down sugar or starch in food.